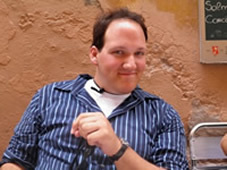 Jeffrey Shaner is a graduate of California Lutheran University with his bachelor’s degree in music education, and is currently studying for his master’s degree in Choral Conducting and Cal State University Los Angeles. When not working costumer service Jeffrey enjoys drawing, cooking and making others laugh. Jeffrey is currently working as assistant choral director at Los Cerritos Middle School and Saint Patrick’s Episcopal church in Thousand Oaks. After receiving his California teaching credential Jeffrey hopes to teach choral music at the middle or high school levels.